Yes, Ken means sword but it's also a western name. 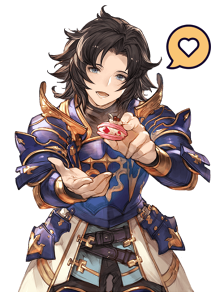 George's case is more interesting because his name is pronounced like George, but the kanjis in his name can be romanized as Jōji (the Finnish translation went with this romanization too). Does Jouji mean anything in Japanese? one meaning it gave me for Jōji (常時) is 'always', and another (女児) is... 'girl'. For the first one I typed 'jouji' and it gave me the kanji translating to 'always', and the second I typed 'joji' and it gave me the other kanji. Jouji's name is written in kanji 譲二, first part meaning "defer, turnover, transfer, convey", and the second part meaning "two". So no strait meaning. I might be reading too much into this, but "defer" kinda fits Jouji's character in a sense as he blamed himself for getting Minnie killed and he was apparently afraid of water because of it for a long time (and he gets over it when he saves Reika). And two might refer to the fact that he is the second oldest son of Cross and Ben. 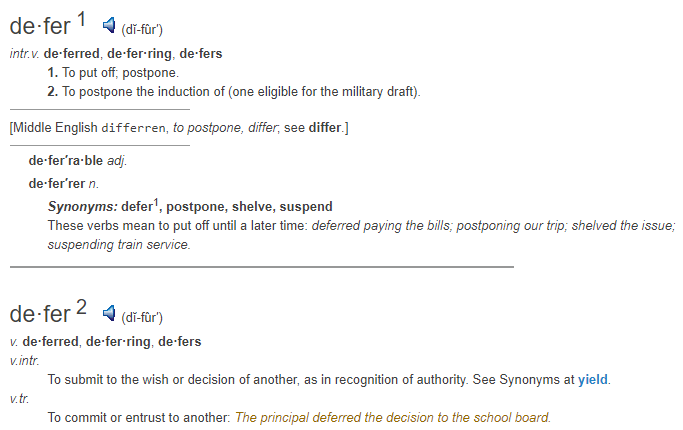 I don't think "defer" has anything to do with blaming oneself or being afraid of something. Like I said in my post, 譲二 just happens to be a very common way of writing the name Jouji. The "two" part definitely refers to him being the second son. Ji/二 shows up in the names of lots of characters who are the second oldest among their siblings (Kamajirou, Jiroumaru, etc). I didn't mean it like that: I meant that he kept postponing facing his fears for a very long time. Shiro never died when he fell off that cliff. He was injured and got amnesia just like Riki though. His body floated downstream (there was a river down in the ravine) enough to be in a town that wasn't close to Daisuke's, but close enough that the platoon leaders would come to recruit soldiers. A family finds him and nurses him back to health. He wasn't really haunted by not knowing what type of dog he was before he came to live with this family, but he's pretty content to sleep, eat and play with the young son and daughter of the family. He makes friends with some of the pets in the neighborhood and does hear whispering about this Akakabuto and a pack of wild dogs trying to take him down, but he pays it no mind. He thinks fighting a bear is too dangerous and feels the need to protect his new family. After John fights with Riki and loses, John swears loyalty and is told to go meet up with Ben's platoon, but I believe he did stop in Shiro's town. John goes house to house asking each dog if they'll join the cause, he figured that him showing up with a "thank you present" for Ben might put him back in good graces. He asks around, but nobody seems that interested (I assume later on in the arc they'll answer the call). He comes to Shiro's yard and argues his case, but the older Akita turns him away. He says he admires John's bravery and wishes him luck. Before leaving the town and continuing on, John has the lingering thought of, "that white Akita...he smelled a lot like the Boss and Gin". Doesn't think much of it later on though. Teru did succumb to his injuries When Musashi, Jaguar and the others get back from being mended they do inform Kyoshiro of this. This is a guilt and sadness that Kyoshiro carries with him to this day. I'd say that some part of him, in the very back of his mind, is so rough and childish with Orion because he doesn't want another young dog to throw away his life against something so powerful. FDQ's headcanon is excellent. I can't think of something more benefiting of Chutora. 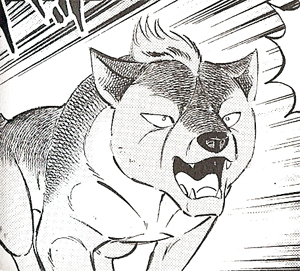 Tenka is an advanced version of what we know as Canis lupus familiaris i.e. the domesticated dog. He's hyper evolved, hence the weird psychic powers and huge ears. However, unlike P4 he was not born from a laboratory. He was born to a Great Dane and some sort of Setter-mix and lived a very ordinary life until a monsoon separated him from his family. One of the reasons he survived the onslaught of water is because of his extra webbed feet and ears. He taught himself how to hunt and gathered followers over the years. His scars are the result of a dominance battle that he won. Nothing really super interesting here. Weed has a scar in a place no one can see. It's very small and on the inside of one of his legs. Daisuke and Kazu broke up after the end of GDW. Kazu thought he was too devoted to taking care of all these dogs and she was right It's my belief that after this whole series is done with that he'll open the best shelter and care center in Japan for dogs. Koshiro did survive the fire and is currently living with an old lady. He keep waiting for his family to come find him, but he feels bad about having to leave this elderly woman. She really loves him and he loves her. Lots of nights of sitting by the fire and frequent visits to the market keep Koshiro sane. He does not know about his father's death. We should create a thread on this theory and copy everything both from this thread and from GingaScans discussion on Chutora over, but meanwhile here's something more. Part 1 Cover page – title says Three brothers of Kai, and is shown Ohu officers running into battle to Akakabuto. First is Ben, then besides him Kuro runs besides Akatora, then Gin, Riki, Smith and Akame, but Chutora is nowhere to be seen. Surely Chutora could have been there SOMEHWERE? Page 143, last panel – all dogs grieving over Akatora, Kurotora is there, Chutora is not. Surely he would grieve for his brother, especially if others who had nothing to do with Akatora would? Wtf..... I'm starting to think Chutora just never cared about the Ohu army like the other two brothers. He was in it for his brothers, but nothing more. Did he ever say he cared about Ben like Akatora preached? After Akatora died, he was just living with Kurotora and then became a messenger. Either Yoshi SUPER hates Chutora... or Chutora is sinister for sure. At the bold... why is smith here lol he wasnt in the final fight. I mean... didn't Yoshihiro simply state that he FORGOT about Chuutora's existence? Chutora died of illness shortly after his pups were born. He considered this an extremely dishonorable and meaningless way for a Kai Ken to die, and as his dying wish he forbade anyone from speaking of his death ever again, fearing that tales of his "weakness" would bring shame to his family. So am I! and I bet there's a lot more people who would be really interested in such thread.. Exactly, Chutora could easily have been in place of Smith, but nooooo, he is nowhere to be seen. I think it was said that Kurotora was the cruelest brother, but there's definitely something wrong with Chutora! Maybe he changed after the wolf arc? Not wanting wolves in Ohu army or..? Also, it's really exciting to think that the kai trio actually had two more siblings! Also also I remember Yoshi saying that Kai trio was his favorite. @kaiken Yeah I think I remember it was like.. Akatora was more responsible while Kurotora was more hasty but I cant remember if thats fans' words or the manga. I just recall the scene where Akatora told them both to run but Kurotora turned back first and then Chutora. Kuro has shown his harsh and hot-headed nature multiple times over and over again. True, Bill's army attack was one of them, but there's way more. He also was the first to jump on Gin for letting Benizakura hit him twice. That's true, it's better to make up an actual personality and fate to a character the author just downright forgets about. I'm going to guess that Chuutora's kids aren't proud of their father either because he didn't want to be a father and left them or because he died early in their life either from age or illness, hence they latch onto the uncle who died heroically as their role model, because Kurotora raised them with a Kai mentality (though they are mixed). Weed has a grudge towards bears. Any bears keep reminding him of the bear that killed GB and he can't find a compassion for them anymore. This is why he's so hateful in The Last Wars. I really like this headcanon. I wish it actually was canon because it would explain a lot (and it would show how much GB meant to Weed). I've mentioned this in the TLW topic a few times, but might as well put it here as well. This is why he's suddenly acting so out-of-character. On some subconscious level, he believed that his master's suicide could have been prevented if he'd been a better dog and that's why he's willing to risk his life protecting Weed. Though the hybrids' genders aren't confirmed one way or another, I feel it makes more sense for the final hybrid to be female rather than male: it means it's possible she swam to Japan while pregnant and gave birth to the brown hybrid, whereas if it's male it would mean that for some reason it took the cub from its mother and traveled to Japan with it. Based very, very loosely on Akame's knowledge of his clan's past and Japanese history, it's a story the adults are telling to Ben's and Kurotora's pups as well as Chibi, with all kinds of fantasy additions mixed in to keep the kids entertained. 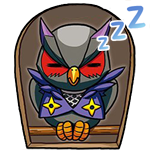 The main characters are based on the GNG characters "playing" them: Akame is Gamu and most of the other Ganin, Ben is Hayabusa and Tsubakuro, Gama is Chutora, and Retsuga or Hyouma is Belmondo. The story ends so suddenly because the pups were getting bored and they needed to finish the story quickly and come up with something else to entertain them.